It’s a simple formula: greater efficiency = greater productivity = greater profits. Simple and proven it may be, but it’s a formula that’s all-too-often forgotten in a busy warehouse. These 10 tips to improve warehouse efficiency are easy to implement and don’t cost a lot of money. “To err is human”, but to continue repeating the same errors is just dumb. Keep a log of errors and see if a pattern emerges. If it does, take steps to eliminate the pattern. Cross docking is the process of taking goods from an inbound dock and transferring them directly to an outbound dock. You may have to adjust some delivery schedules, but if you can do this, you reduce handling costs and improve customer service. Automation is one way to reduce labor costs, but it’s not always an affordable option. One way to reduce labor costs is to reassess the way you store items. Those items you use the most and/or have the fastest turnaround times should be stored where they are most accessible. 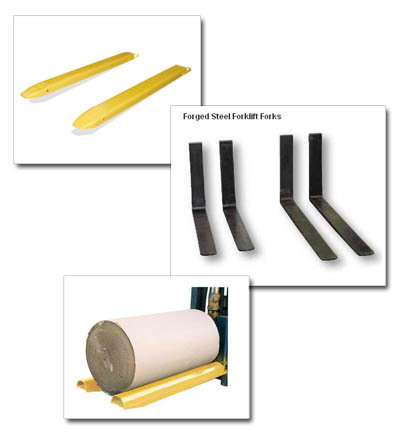 Many forklift accessories, too, are designed to reduce the time it takes to perform a task. Narrow aisle (NA) and very narrow aisle (VNA) forklifts were invented for a reason: they allow you to get the most out of your available space. When space planning, take available height into consideration as well as your floor plan. A good manager knows employees can be the best source of information about improving workplace efficiency. They are the ones on the “front lines,” after all and often know when things aren’t being done as efficiently as possible. Simple things like installing long-lasting, low-energy LED lights can slash energy costs. Also make use of available natural light whenever possible. In the long run, it costs less to paint your walls white and install windows than it does to rely on artificial light only. Rather than making sporadic efforts to improve efficiency, make it part of your daily working environment by starting a Continuous Improvement Program. See our previous blog, 5 Steps Towards a More Productive Workplace for tips on how the Japanese do this with their “5 S” strategy. For a variety of reasons, you might stick with the same suppliers year after year. Is it time to reassess your suppliers and see if someone else has come on the scene who can give you better service at a lower cost? Your loyalty may be costing you money. Technology is changing so rapidly, you may be missing out on taking advantage of new developments. Expensive technologies like robotics tend to dominate the news, but other low-cost technology is now available that can improve warehouse efficiency without breaking the bank. We may be biased, but we believe in forklift accessories and attachments. Decades of experience have taught us which ones are worth investing in. We choose low cost attachments and accessories that improve efficiency and safety. Have a look through our online catalog and find products that you will use enough to make them pay for themselves quickly and work for you for years to come. This Week on Forklift Accessories Blog August 2014 Week 3!